Too many Android phones are running old software with security flaws, according to Dutch consumer association Consumentenbond, which wants manufacturers to update their phones' software more often, and for longer. The association tested 171 Android smartphones that it had acquired over the last two years, applying the latest software update provided by the manufacturer. Only one in six of the updated phones were running Android 5.0, released last November, or a newer version. Half of the phones, even after updating, still ran a version two years old (Android 4.3), or older. Those versions have known security flaws. "We believe that consumers are entitled to a reliable and safe device. Manufacturers should be able to provide updates for their devices at least two years after their release," said Bart Combée, president of Consumentenbond. With the hardware changes between successive generations of smartphones increasingly small, manufacturers are perhaps reluctant to discourage upgrading by providing new software features on older devices for free -- but fixing security bugs is perhaps more akin to the safety recalls that are becoming all too common in the automobile industry. There are big differences in how manufacturers keep the Android software in their phones up to date. For example, more than half of the Huawei Technologies phones tested were running Android 4.3 or lower, while the rest ran 4.4. On the other hand, five of eight Motorola Mobility smartphones tested by the association ran Android 5.0 or 5.1. The association didn't say how the final software version related to the age of the phones. However, even within a single manufacturer's product range, there can be little correlation: Consumentenbond's two-year-old HTC One updated to Android 5.0, but HTC has said the much younger HTC One Mini 2, released in May 2014, will not receive the update. Samsung Electronics, the biggest Android phone manufacturer, also has many phones for which up-to-date software is unavailable, Consumentenbond said. Support for competing operating systems including iOS and Windows Phone is much better, the organization said. It said iOS devices are supported for about four years while Microsoft has promised to upgrade all Lumia phones running Windows Phone 8 (released in October 2012) to Windows 10. A recent report by Computerworld slammed phone manufacturers for providing poor information about the updates they do provide, and taking a long time to deliver them. As of June 1, around 12.4 percent of devices accessing the Google Play Store were running Android Lollipop (versions 5.0 or 5.1), some six months after its release, with the highest proportion, 39.2 percent, running Android 4.4 (KitKat), released in October 2014. In tests performed by Computerworld in May, major manufacturers took up to 147 days to get the Lollipop upgrade to their then-current flagship phone. 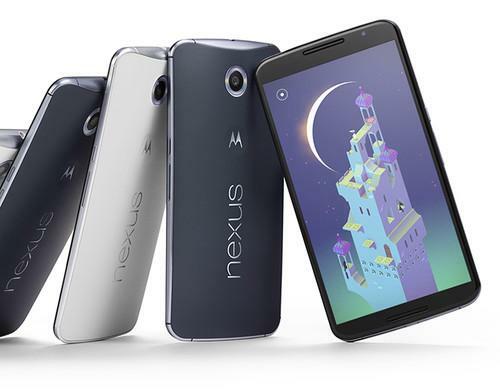 Google shipped the Nexus 6, manufactured for it by Motorola Mobility, with Android 5.0 already loaded, and Motorola's own flagship, the 2014 Moto X got the update in nine days. Sony was the slowest with its Xperia Z3 and Xperia Z3 Compact. Google was also the quickest to upgrade its previous flag ship phone: The Nexus 5, manufactured for it by LG Electronics, had the upgrade after 14 days, but by May the previous Moto X version was still waiting. Motorola finally rolled out the 5.1 Android Lollipop upgrade for the 2013 Moto X on June 20. Market leader Samsung kept its fans waiting: It took 91 days to update the Galaxy S5 and 122 days for the Galaxy Note 4. Computerworld said Samsung was the worst when it came to communicating about updates, keeping customers in the dark about which devices it plans to update. It used to provide detailed info, but has stopped doing so after it repeatedly failed to keep its promises, which caused a fair amount of negative publicity.